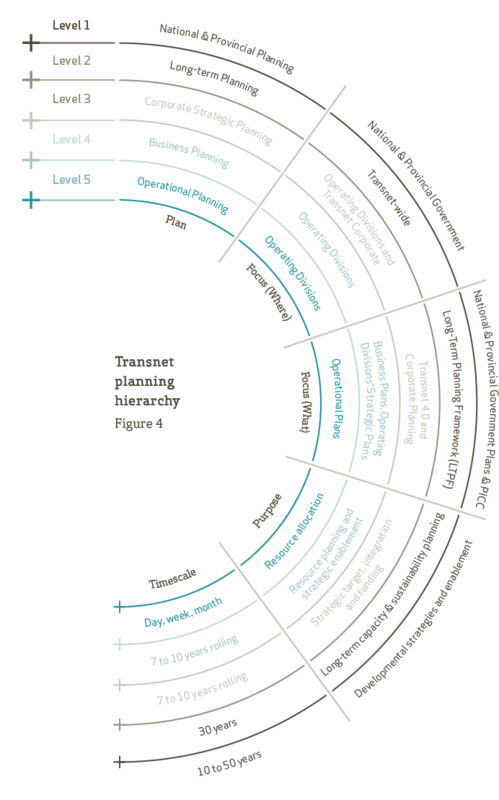 Transnet’s strategic planning framework drives capacity planning at five levels, each with its unique context and planning requirements. 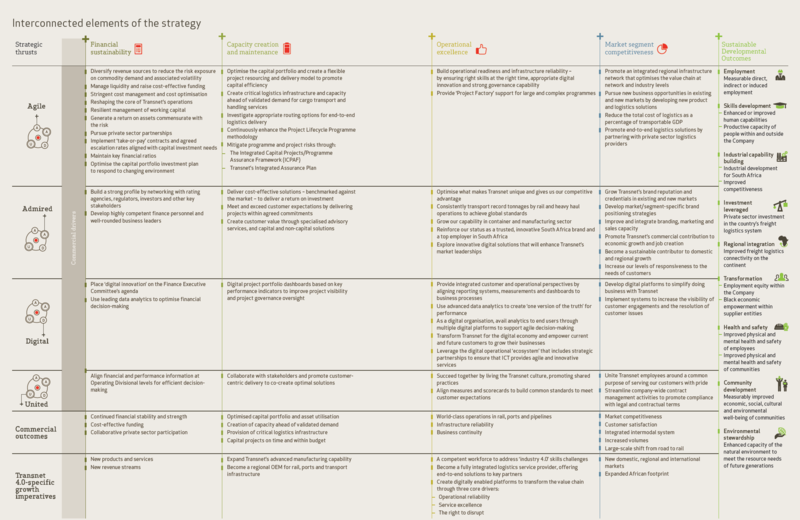 Overall, planning is aligned across the different levels and geared towards the same outcomes. While each level addresses capacity planning differently, efforts are fundamentally aligned and geared towards the same objectives. 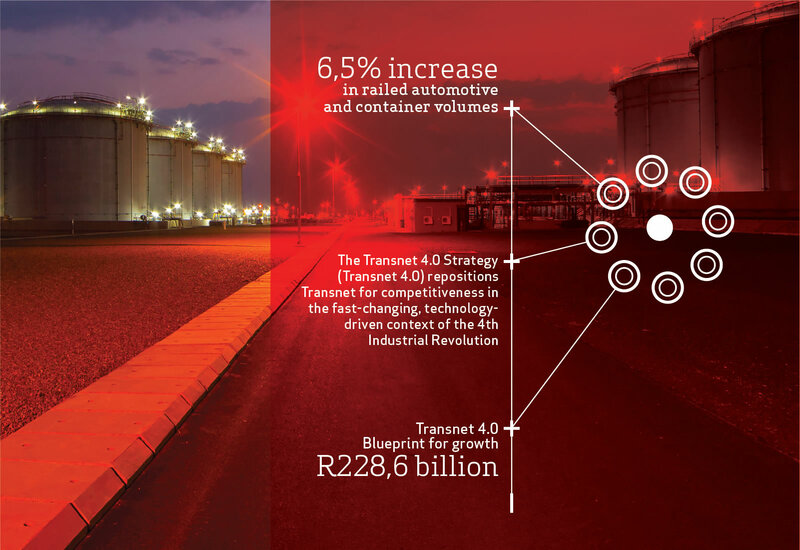 The Company’s Long-Term Planning Frameworkis a critical link between national and provincial masterplans and policy, and the Transnet 4.0 Strategy. 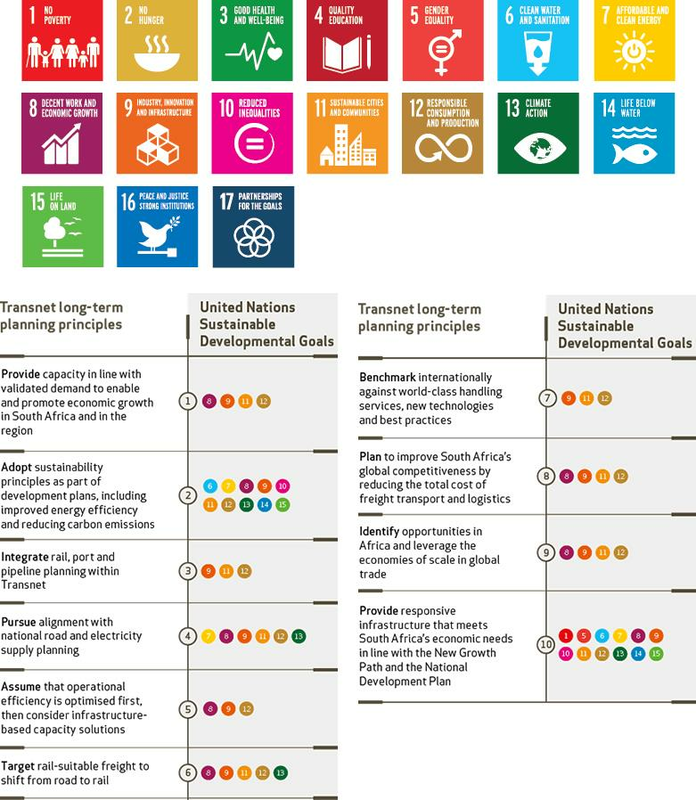 The frameworks informing Transnet’s strategic planning and goal setting are outlined in Figure 4. At each level, the Company ensures appropriate resourcing that is both aligned with targets, and able to adapt to changing market conditions and other external impacts. Transnet’s short- to medium-term planning perspective in the section on Outlook.